For a list of all objectives see the VCP5 page. See also this similar post: Objective 4.2 – Create and Deploy vApps. vApp Resources for CPU and memory capacity (Share, Reservation, Reservation type, Limit). vApp Startup and Shutdown Options for the order of the VMs inside the vApp. See the vSphere Virtual Machine Administration Guide (page 178 and 193) and Build & Manage a vApp. Can also be done from the vSphere Web Client. Note that the distribution format for vApp is OVF, and the vApp metadata resides in the vCenter Server’s database, so a vApp can be distributed across multiple ESXi hosts. This information can be lost if the vCenter Server database is cleared or if a standalone ESXi host that contains a vApp is removed from vCenter Server. You should back up vApps to an OVF package to avoid losing any metadata. See the vSphere Virtual Machine Administration Guide (page 181). Can also be done from the vSphere Web Client. Note that a vApp can include: VMs, Resource Pools and other vApps. See the vSphere Virtual Machine Administration Guide (page 183) and Edit vApp settings. Can also be done from the vSphere Web Client. Fixed IP: addresses are manually configured. No automatic allocation is performed. No IP pool is needed. Transient IP: addresses are automatically allocated using IP pools from a specified range when the vApp is powered on. The IP addresses are released when the appliance is powered off. DHCP: a DHCP server is used to allocate the IP addresses. The addresses assigned by the DHCP server are visible in the OVF environments of virtual machines started in the vApp. See the vSphere Virtual Machine Administration Guide (page 194 and 195). Can also be done from the vSphere Web Client. 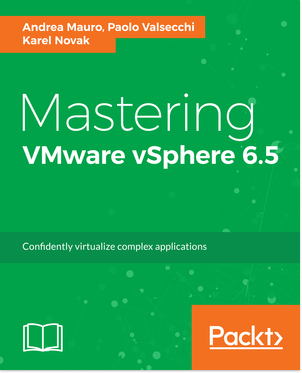 See the vSphere Virtual Machine Administration Guide (page 177) and vApps in vSphere 4, and why they’re very, very useful. Note that vApps requires both a vCenter Server and a DRS license. See also this similar post: Objective 4.1 – Create and Deploy Virtual Machines. See the vSphere Virtual Machine Administration Guide (page 9). See the vSphere Virtual Machine Administration Guide (page 29). See the vSphere Virtual Machine Administration Guide (page 33 and 40). See the vSphere Virtual Machine Administration Guide (page 36) and Virtual SCSI Adapter type. See the vSphere Virtual Machine Administration Guide (page 36 and 121) and VMDK virtual disk type. See the vSphere Virtual Machine Administration Guide (page 129). See the vSphere Virtual Machine Administration Guide (page 128). Can also be done from the vSphere Web Client. See the Guest Operating System Installation Guide. See Timekeeping best practices for Linux guests and Timekeeping in VMware Virtual Machines. The vCenter Server installation does not include any Converter, so you must use the Standalone Converter edition. See also the VMware vCenter Converter Standalone Documentation page. Note that the version 5 is actually in beta phase. See also the VMware vCenter Converter Standalone Documentation page. See What’s New in Performance in VMware vSphere™ 5.0 and Performance Best Practices for VMware vSphere 4.1. See the vSphere Virtual Machine Administration Guide (page 107) and Virtual NIC type. Store all virtual machine files in the same location on a datastore. Store all virtual machine files in the same datastore cluster (SDRS is needed). Store virtual machine configuration files and disks in separate locations. About the different choices, they depends of course by the datastore types (which RAID level, number and kind of disks, …), by the workload requirements, the usage of SIOC (if datastore is shared with other VMs, …). But for the VCP5 exam do not expect too much… there are the VCAP exams for more detail about those choices. Recently, has been released the VCP5 blueprint 1.1 (although in the download is number 1.15?) that cover the official exam (note that the v1.4 was related to the beta exam). The new blueprint does not include changes on the objectives, just more tools, link to to the documents and some changes in the exam description (the official exam has 85 questions in 90 minutes). Note that there are also new version of the VCA4-DT (v1.3) and VCP4-DT (v1.2) blueprints. 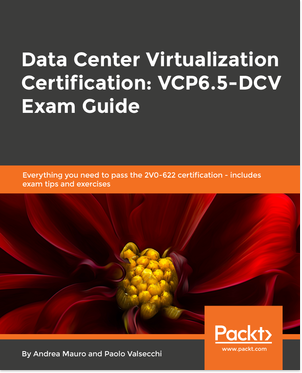 VCP5 Official Mock Exam – This time the mock exam seems good enough (some questions are still too easy, but some are similar to the VCP5 beta exam). http://www.simonlong.co.uk/blog/vcp5-practice-exams/ – The exam is just in a beta phase, a little simple yet, but with some good question. http://www.kalenarndt.com/vcp-510-quiz/ – Actually with few questions, but just started. vSphere 5 Configuration Maximums Practice Tests Series – Some tests about the configuration maximums. http://twitter.com/#!/VCP5_QOTD – One question each day (but seems blocked on Aug, 9). This product has been discountined with the release 5.1 and replaced by the new VDP. 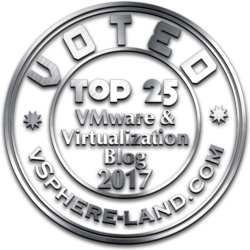 I do not work for VMware and I’m not writing that VDR is the best backup product! First versions were affected by some bugs and issues… But now (from 1.2 release) could be one possible backup solution (of course with its limits). Note that this product works quite like the old esXpress (similar idea to have virtual appliance that handle the backup procedure). After the recent announce of new Equallogic storage I’ve notice some tweets that need more clarifications. VAAI can be used also in vSphere 4.1 (only in the Enterprise and Enterprise+ editions) both with firmware 5.0.x or 5.1.x. With the new 5.1 firmware a new version of VAAI is implemented with a new feature for thin provisioning (but in this case it’s also required vSphere 5). VASA can be used only with vSphere 5 and the new 5.1 firmware, but old with a old Equallogic storage (check controller compatibility for the 5.1 upgrade). The new related software, like for example the EqualLogic Host Integration Tools for VMware 3.1, are not strictly required to use Equallogic in a virtual environment or to use vSphere integration. EqualLogic PS4100 Series — ideal for small-to-medium businesses or remote office locations with growing storage needs. The SANs, supporting up to 36TB in a single array and 72TB in a single group, can scale as storage demands increase by seamlessly adding additional PS4100 or PS6100 arrays into an EqualLogic group. EqualLogic PS6100 Series — designed to provide mid-sized customers with a scalable storage environment, up to 72TB in a single array and 1.2PB in a single group, that can easily accommodate both high-performance and high-capacity drive options. The PS6100 family is ideal for customers looking for a storage solution to support the storage demands of a highly virtualized data center environment where the seamless movement and protection of virtual machines, applications and data is crucial. With the newly redesigned, compact form factor, PS6100 customers can achieve the same performance for their typical workload using half the number of arrays, and receive 50 percent more expansion capacity when compared with the previous generation EqualLogic arrays. Customers can gain up to 60 percent performance improvement on typical workloads with the EqualLogic PS Series compared to the previous generation EqualLogic arrays. The new controller type of the PS6100 series has now 8 GB of cache (the PS6000 series has 4 GB and the PS4000 “only” 2 GB). Those new Equallogic are equiped with the new 5.1 firmware that include new specific API for vSphere integration, like vSphere Storage API – Storage Awareness (VASA) for thin provisioning awareness and new vSphere Storage APIs – Array Integration (VAAI). Note that this improvement are firmware related, so can be applied also to old Equallogic series (if the controller can be upgraded to the new 5.1 firmware). Dell also has begun shipping the new EqualLogic FS7500, the company’s latest NAS solution that works with EqualLogic PS Series arrays to deliver the only scale-out, unified storage platform for mid-size deployments. The FS7500 uses the Dell Scalable File System, which offers several advanced features including cache monitoring, load balancing and multi-threading for fast I/O processing. Official announce: Veeam unveils Veeam Backup & Replication v6, extending leadership in virtualization data protection. Veeam Software today unveiled major enhancements in Veeam Backup & Replication™ v6. Probably the most evident new feature is theMulti-hypervisor support (actually limited only to VMware and Windows Server Hyper-V). General availability of v6 is expected in Q4 2011. For more information and updates prior to GA, go to http://go.veeam.com/v6-backup-replication. In a physical environment usually the term CPU is used to refer to the physical package (or socket). The real processing unit inside this package are called cores (and not that each core can have inside more ALU and can be seen as more logical cores with hyper-threading feature). More CPU usually define a SMP system, more cores a multi-core CPU, more CPU each with more cores a complex system (usually the NUMA architecture is used in this case). In a virtual enviroment the term vCPU is used to refer to a core assigned to a VM. More vCPU define a vSMP system, similar to a physical system with more CPU each with a single core. The number of vCPUs can be assigned is determined by the license edition (for more info see http://www.vmware.com/products/vsphere/buy/editions_comparison.html): for all edition except the Enterprise+ was (in vSphere 4.x) 4 vCPU, now (in vSphere 5) is 8 vCPU. For the Enterprise+ edition was 8 and now is 32. But the number of vCPU can have some impact on guest OS CPU licensing. For example Windows XP or 7 is limited to only 2 vCPUs as “physical” CPUs and can not use more than this limit… But can use more cores. To get around this limit, it’s possible expose to a VM a more complicated structure where each vCPU has more than one cores. This can be set by and advanced setting in the vmx file. Note that from vSphere 5 this is possible also from graphics interface. The list of the vExpert 2011 is now available on line. But note that this list could not cover all the vExpert people (the list is not automatic but each vExpert must add his entry) and, of course, do not include the vExpert 2009 and 2010. See also those similar posts: Objective 3.3 – Create and Configure VMFS and NFS Datastores and Objective 3.3 – Create and Configure VMFS and NFS Datastores. See the vSphere Storage Guide (page 21). NFS as quite the same functions (also hardware acceleration introducted in vSphere 5), but still cannot implement a RDM disk, and for this reason cannot implement a guest cluster solution (like Microsoft MSCS). See the vSphere Storage Guide (page 114) and vSphere 5.0 Storage Features Part 1 – VMFS-5. Unified the block size (to 1MB for newly formatted VMFS5 datastores), previous versions of VMFS used 1,2,4 or 8MB file blocks. Larger single Extent Volumes: in previous versions of VMFS, the largest single extent was 2TB. With VMFS-5, this limit has been increased to ~ 60TB. Smoother upgrade path with on-line in-place upgrade. Scalability improvements using VAAI and ATS Enhancement. Mount and Unmount workflow in the vSphere Client. VMFS-5 upgraded from VMFS-3 continues to use the previous file block size which may be larger than the unified 1MB file block size. VMFS-5 upgraded from VMFS-3 continues to use 64KB sub-blocks and not new 8K sub-blocks. VMFS-5 upgraded from VMFS-3 continues to have a file limit of 30720 rather than new file limit of > 100000 for newly created VMFS-5. VMFS-5 upgraded from VMFS-3 continues to use MBR (Master Boot Record) partition type; when the VMFS-5 volume is grown above 2TB, it automatically & seamlessly switches from MBR to GPT (GUID Partition Table) with no impact to the running VMs. VMFS-5 upgraded from VMFS-3 continue to have its partition starting on sector 128; newly created VMFS5 partitions will have their partition starting at sector 2048. There is now support for passthru RDMs to be ~ 60TB in size. Both upgraded VMFS-5 & newly created VMFS-5 support the larger passthru RDM. The maximum size of a VMDK on VMFS-5 is still 2TB -512 bytes. The maximum size of a non-passthru (virtual) RDM on VMFS-5 is still 2TB -512 bytes. The maximum number of LUNs that are supported on an ESXi 5.0 host is still 256. See the vSphere Storage Guide (page 115, 129, 123 and 131). See the vSphere Storage Guide (page 128). Add a new extent (same as VI 3.x): an extent is a partition on a storage device, or LUN. You can add up to 32 new extents of the same storage type to an existing VMFS datastore. The spanned VMFS datastore can use any of allits extents at any time. It does not need to fill up a particular extent before using the next one. Grow an extent in an existing VMFS datastore (better and clean solution), so that it fills the available adjacent capacity. Only extents with free space immediately after them are expandable. See the vSphere Storage Guide (page 121). For VMFS3 the upgrade can be done with VM running on it (different from VMFS2 to VMFS3 upgrade). Of course all hosts accessing the datastore must support VMFS5. See the vSphere Resource Management Guide (page 83). Maintenance mode is available to datastores within a Storage DRS-enabled datastore cluster. Standalone datastores cannot be placed in maintenance mode. See the vSphere Storage Guide (page 158). See the vSphere Storage Guide (page 163). Understand the limits (quite few now) of NFS, but also the benefits. See also: http://technodrone.blogspot.com/2010/01/vmfs-or-nfs.html. See the vSphere Storage Guide (page 159).